The project 150603 was realized with a oscilloscope. The concept was: first the picture than the sound. With the help of the sound Polystore creates moving images on the monitor of the oscilloscope. The result: soundobjects, non-predictible structures of soundcreations, limits and markings. 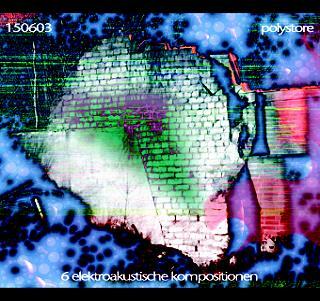 To Polystore, these are new forms, an invitation to us all. The rawmaterial are objects trouvees, sound pieces found in synthesizers, in drumcomputers and on the medium-wave band.